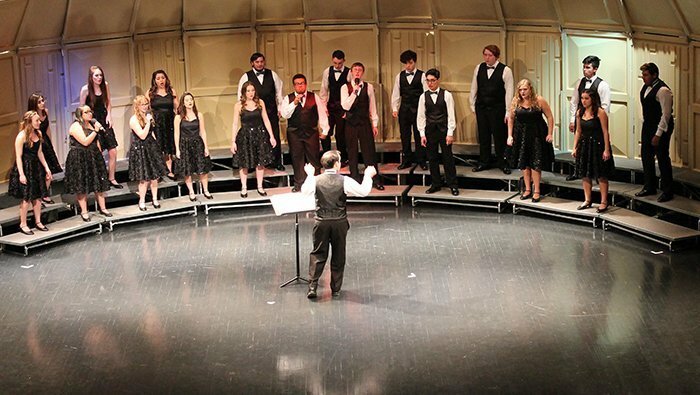 BULLHEAD CITY – As temperatures gradually cool in the Tri-State area, the Mohave High School auditorium will heat up with the first choir concert of the school year. The five groups that make up Mohave’s choirs will perform “Music for an Autumn Evening” on Tuesday, October 9 at 7 p.m. The eclectic program features rock, patriotic, madrigal, spiritual, rhythm and blues, contemporary and sacred music, as well as show tunes. It is designed to have something for everyone, according to the choir’s director. Mohave’s award-winning choir department includes the Concert Choir, Mystic Rhythm, Rhapsody, Soul Faze and Treble Glee. Tickets are $5 and available at the door before the show; children under 12 are free. Nice article. Our Daughter is in the choir. They are amazing. Can’t wait to hear the show!